Have you ever lost a client even though you’ve done great work for them? Puzzled as to why your “bad client” is so bad? This episode is all about what clients really want, from the woman who literally wrote the book. 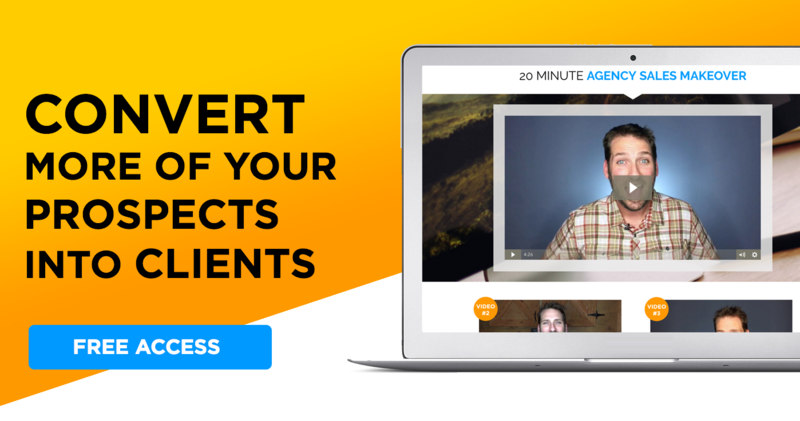 Learn all about maintaining good client relationships, plus managing and training an amazing account service team that helps grow agency business. Why great work isn’t enough to keep clients happy. What clients actually want from their agency. 3 ways to make agency clients’ lives easier. Hiring and managing a team that grows your agency. There’s no such thing as a bad agency client… only a bad prospect or a bad process. In this episode my guest, Chantell Glenville, goes in depth on the bad agency processes that are killing your business. Chantell spent a number of years working both the client side and agency side of the business. She’s the author of best-selling book “What Clients Really Want (And the Sh*t that Drives Them Crazy), the first of it’s kind written from the client’s perspective. Chantell says over the span of her career on both sides of the business in agencies of varying size and specialties she witnessed lots of breakdown in communication between agency team and clients. There seemed to be a common thread among them. A breakdown in client relationships is what gets an agency fired – even when they’re killing in with great work. So, What *DO* Clients Want? Of course they want great creative, innovation and the expertise of the agency. But here’s the part no one tells us… Clients want their agency to make their lives easier and to not make their lives harder. The problem is, agencies usually make the assumption that a new client starts at level zero on the unhappiness scale. We assume the client’s life is already relatively easy, when in fact they might already be at a -3 or -4 on the scale. Then we end up inadvertently doing things that tip the scale and make their lives even harder. 1- Understand the client’s work life. What pressures are they under? Who do they report to and what is their supervisor’s work style? What is the structure of their day? If possible, go to their office and shadow them for a day to see what they “normal” looks like. Then adjust your style in a way that makes all things easier. You might be surprised at what you learn when you get a glimpse into their world. (Especially if you’ve never worked client-side.) For example, if a large part of the client’s day is spent in meetings, it explains why you don’t get a quick reply to your “urgent” emails. So ask them if it’s OK to text them first when you’re sending something urgent. Figure out what makes the client’s life easier – without making it harder. 2- Pay attention to detail. If your client is often pressed for time but feels like you aren’t good at details that just creates extra work for them. Double and triple checking your work piles more on their to-do list. And, it is the exact opposite of making their life easier! If you’re client feels like they’re always catching your mistakes and needs to inspect every aspect of your work it adds an unnecessary amount of suckiness in their day. For example, if your client has to send your work for a round of revisions based on things the agency missed, it negatively affects the agency by eating hours. However, think about it from the client’s point of view. It also adds another round of proofing for them, which eats hours into their day and… makes their life harder! 3- Ask them. Be direct and ask how you can make their life easier. Then alter your work style to accommodate their needs – if you’re more of an email person and they’re more of a phone call person, adjust accordingly to service their needs. Find out the easiest and preferred method of communication by asking them. Ask how much advance notice they need for approvals and sign-offs. Who else needs to sign off? Should you include that person on your emails, as well? Who else gives input on projects? How can you help simplify that process so your client isn’t chasing their own internal approvals? Another tip – consider using automation to on-board for new clients, then follow-up with human contact. Use automated emails to set expectations and establish workflow. However, always be sure there is a human for your client to connect with. Chantell says the best AM’s are not only creative and organized but they also have a vast amount of empathy. Really amazing account people can put themselves in the client’s shoes and then adapt accordingly. At my agency, I liked to say Account Managers are “client ambassadors”. They should consider themselves an extension of the client’s team; always thinking and acting in the best interest of the client. Account Managers should know and understand their client’s business and financial goals and objectives. They should know their clients problems and challenges in order to offer solutions. 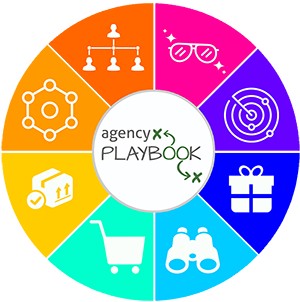 In order to nurture client relationships and grow agency business, it’s up the account manager to communicate with the agency team. It can be hard for the rest of the team to know what’s going outside of a specific project. Meet regularly with your account managers to look at the broad scope of the client’s business and collaborate on big picture ideas. Last, make sure your Account Managers feel empowered to present ideas to clients. Not just ideas that serve the agency, but any ideas that show care and passion for the client’s business. AM’s should know their client’s better than they know themselves. They should have a pulse on the industry and the competition. Set up Google alerts and be aware of what’s trending in their business even before they are… be client ambassador in every sense. Chantell says the best flow, in favor of the client, is to keep everyone involved but within their specific silo. That means the Salesperson doesn’t just “hand off” a client to an Account Manager. It’s a risky decision and makes the client feel like a commodity. Instead, have Sales involve the AM in strategy and planning meetings right off the bat. Let them gain trust and credibility, then gradually amp up the account person’s involvement while backing off the Sales involvement. Chantell also says it’s not a good idea to overlap duties and have the same person act as Account Manager and Project Manager. When you mix the roles it’s easy to miss opportunities for growth and added value. Typically, someone who’s good at one role is not good at the other. PM’s are task-oriented and like to feel accomplished. They’re in it for the short term. They are super organized and like to see a project from start to finish, which is good for the agency but not necessarily good for finding new business opportunities. AM’s are best at nurturing and growing relationships. They’re best at the long-haul and the big picture. FreshBooks is the solution with their ridiculously easy­-to-­use cloud accounting software for agencies. Freshbooks helps you work smarter and become more organized. Most importantly, it gets you paid quicker.